Our locations throughout North and Central Texas make it easy for you to find quality care nearby. Through patient-focused care, research and innovative surgical procedures, we offer you life-saving and life-changing care. Baylor Scott & White Health treats a number of movement disorders and condition. 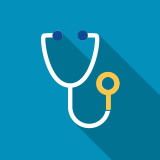 Learn more about your options for movement disorders. When headache pain persists despite treatment, it may be time to turn to a one of our headache experts, who have specialized training in comprehensive headache care. From prevention to life-saving treatment, we offer comprehensive care for stroke. Many Baylor Scott & White medical centers are certified as Primary Stroke Centers by the Joint Commission. Many people will suffer back pain and other spinal conditions during their lifetime. Baylor Scott & White offers expert care for patients battling tumors of the brain and spine. 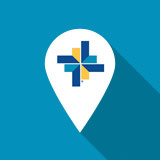 Find a location offering care for neurological disorders or injuries. See how Baylor Scott & White is making a difference in the lives of neuroscience patients. Dale Riley: Spine surgery reduced my pain level to a "0".